Author : H.L. Chowdhari, Adv. 2. Authentic & Updated Till July 2013. 4. Super Printing (H.B.) 70 Gsm. & Jacket Cover. 5. 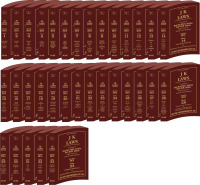 More Than 24400 Pages. 6. Covering Over 720 Acts, Rules, Regulations etc. 7. Chronologically Covering Over 4300 Notifications, Circulars Etc. 8. Alphabetical Synopsis Covering Over 9100 Cases. 9. Hon’ble Chief Justice Sh. M.M. 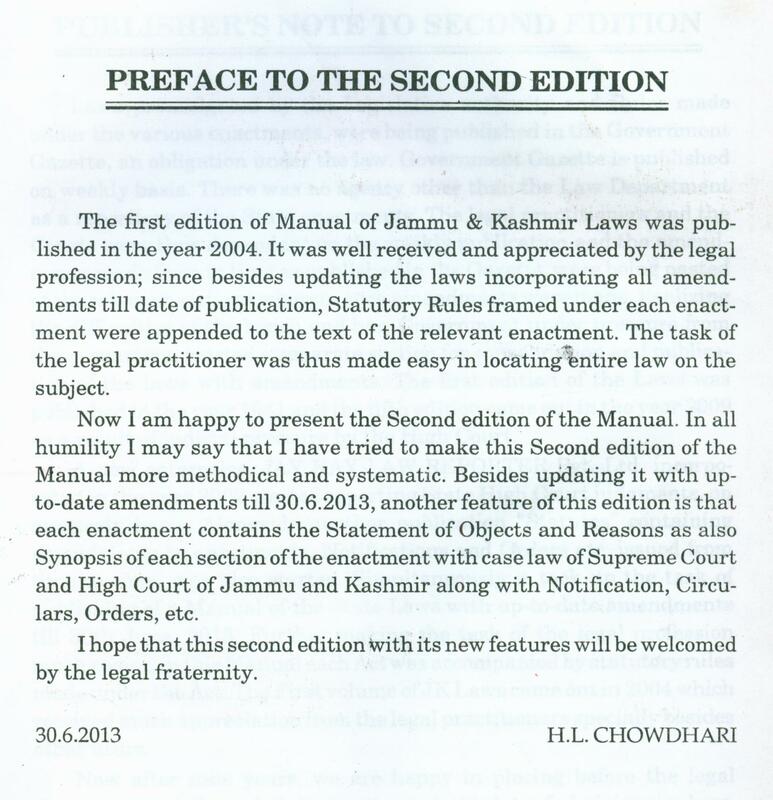 Kumar, High Court of J&K, while giving Foreword found this revised edition very useful in general, for those having an interest to know the local laws of J&K and in particular for the members of the members of the legal Fraternity. 10. The present work is more methodical and systematic.